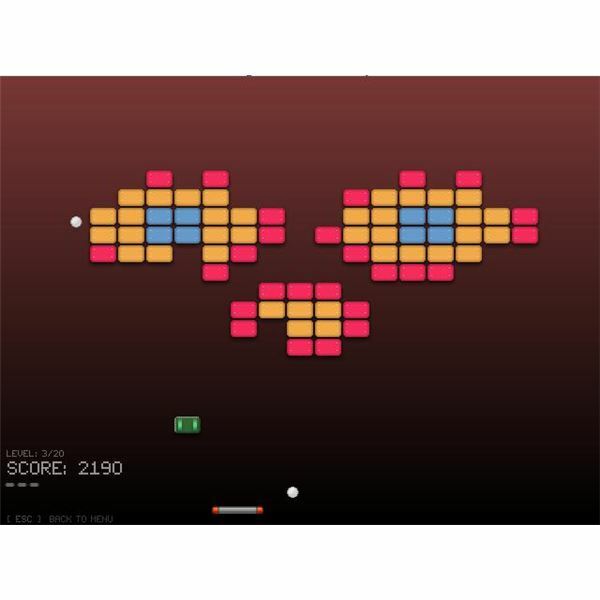 Bouncing Balls is a nice action puzzle game. 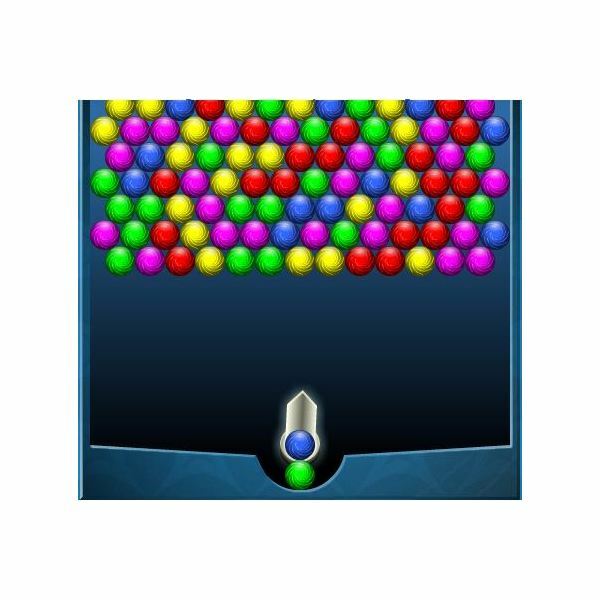 The objective is to clear all the colored balls off each screen before a thousand-ton weight hits the bottom. Balls Bouncing is a match-three style game. This means that if you have a blue ball in your cannon and shoot at two or more blue balls, and if they collide, they will fall off the screen. As time flies, the balls you want to get rid off drop closer to the bottom of the screen. If the balls, and the weight, reach the bottom of the screen, then it's game over. You start with only three different types of balls, red, blue,and yellow, that you have to knock off the ceiling. As you progress further,you will find a variety of balls of different colors added to the ceiling. As the name implies, you can shoot balls from the cannon, making them bounce off the sidewall. Each stage starts with balls piling up closer to the bottom of the screen, making each stage increasingly difficult than the last. My only complaint with Bouncing Balls is the absence of a pause button. Although fun, Bouncing Balls is not a very complicated. The visuals are colorful and bright and the sound is just perfect to complement with the gameplay. That being said, the graphics and small little pops and trumpets in Bouncing Balls completely suit the game. The vibrant colors, simple blue on blue window, and simple bubble popping sounds make the game more fun. Games like this prove you don't need 3D graphics and the most extravagant new soundcard to play a fun, addictive game. The developers set out to make a great 2D cannon game, and they have certainly succeeded in doing so. Cube Crash is another great match-three style puzzle game. If you have three or more cubes of the same color, then you can remove them by clicking on any of the cubes in the group. Any cubes stacked above them will fall down. You have to remove a set number of cubes on the screen to pass each stage. The more cubes you get rid off in one move, the more points you earn. The idea behind this game is pretty simple – you will have to make as many cubes disappear as possible. The best strategy is to try to make one large group of cubes. This can be done by getting rid of all colors except one. Let's take the example of green cubes. Once you've gotten rid of as many of the other colors as you can, you will have one big green group left. You will make more points off that one group than anything else during that stage. This strategy works best for the first few stages. As you move forward, each stage will have a larger variety of colored cubes. Each stage also has a predetermined amount of cubes that you must get rid off to continue on to the next. Personally, I find graphics and sound a bit on the downside. The colors chosen for the cubes don't really go well with each other. The color coordination worsens as new colors are added to each stage. Even worse, there is only one sound in the game. When you click on a group of cubes they disappear and you hear a sound that is very similar to the sound made by a dodge-ball when it hits someone. Xenocrate 2 is one of the best Breakout clones out there. The game has 20 levels and a great selection of bonus blocks that you can pick up. 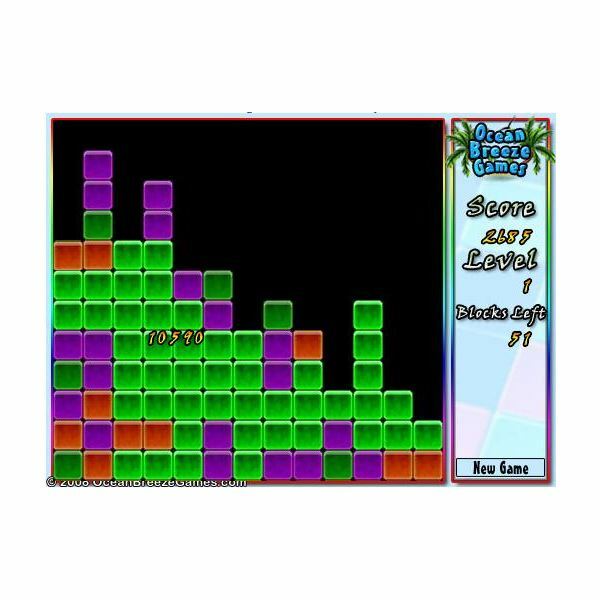 The goal is to blow up all the blocks on the screen by hitting them with a tiny ball. The ball flies all over the screen, bouncing off blocks, the walls and ceiling or your platform. It's your job to make sure the ball doesn't fall off the floor by bouncing it off from a small platform that you can move left and right with your mouse. I have a soft spot for Breakout-like games. It was one of my favourite games while I was growing up, so when someone makes a quality version of the game it makes me happy. Playing Xenocrate 2 is just plain fun. The platform movement is fluid and controls are easy. There are some bad Breakout clones out there. This isn't one of them. The only thing you need to remember is that your cursor must be in the game screen to move the platform. It is very easy to move your cursor off the game screen by accident, so be careful. Like Cubes Crashing, graphics is where Xenocrate 2 fares poorly. I suspect the developers actually wanted the game to look like the original 1976 Breakout game. The game graphics are very detailed. Unfortunately, I can't get over the fact that the patterns of the blocks in each level look like they would have been in style with the ones released in the early arcades of the 80s. That being said, when you pick up some of the bonus blocks, your ball will turn into a ball of flame or some weird glowing blue ball that looks pretty cool. Despite what I think of the graphical choices made in Xenocrate 2, the audio is excellent for this type of game. There is decent music (and I don't say that often), and cool sound effects throughout the game. 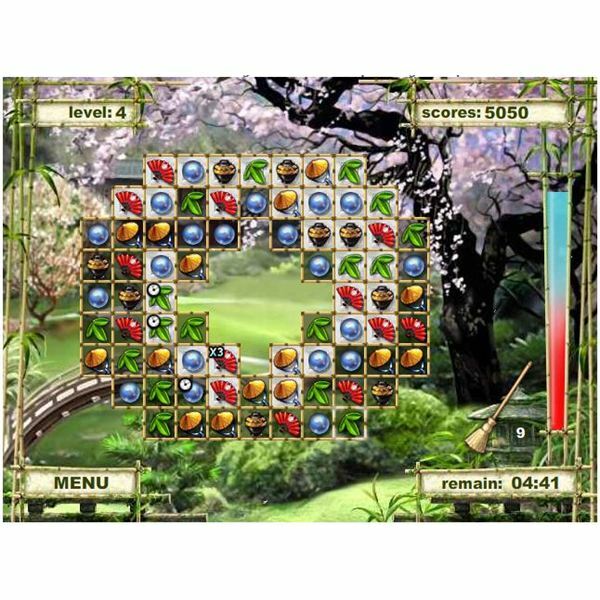 Age of Japan is another splendid match-3 type of puzzle game. In the same vein as Bejeweled, you can move a game piece up, down, left, or right to make a row of three. Once a group of three or more pieces of the same design is made, they will disappear and all the game pieces above fall down. The objective of this game is not to make as many groups of three as possible, as with most match three style games. The goal, in fact, is to make rows on certain silver-shaded cells on the game board. Once rows are made using pieces on the shaded cells, the silver shading goes away. When no silver cells remain you go to the next level. In my opinion, this is one of the most challenging puzzle games I have ever played on Facebook. Age of Japan is fun, and has five unique levels to complete. You can choose and play the Arcade mode, which is timed, or Puzzle mode, which allows you only a certain amount moved per stage. As you move through the levels, more types of game pieces will be added to the board, adding to the complexity of the game. If you make three or more rows disappear in one move, you will get a broom. Brooms are used to make one piece on the game board disappear. The amount of brooms you have shows on the bottom right of the game board. As far as browser-based puzzle games go, this one gets two big thumbs up in the graphics and sound department. I find Oriental-themed games either go one way or the other, really cool or plain hokey. The background in Age of Japan is very elegant, while the game board is simple but still very pleasing to the eye. The music is a tad cheesier, but the in-game sound effects are pretty awesome. Overall, Age of Japan, with its oriental theme and a slightly different gameplay concept is a must-play if you are looking for addictive puzzle games in Facebook.